Happy Thanksgiving from Lucky Penny Acres! It is hard to picture Thanksgiving without thinking of turkey. 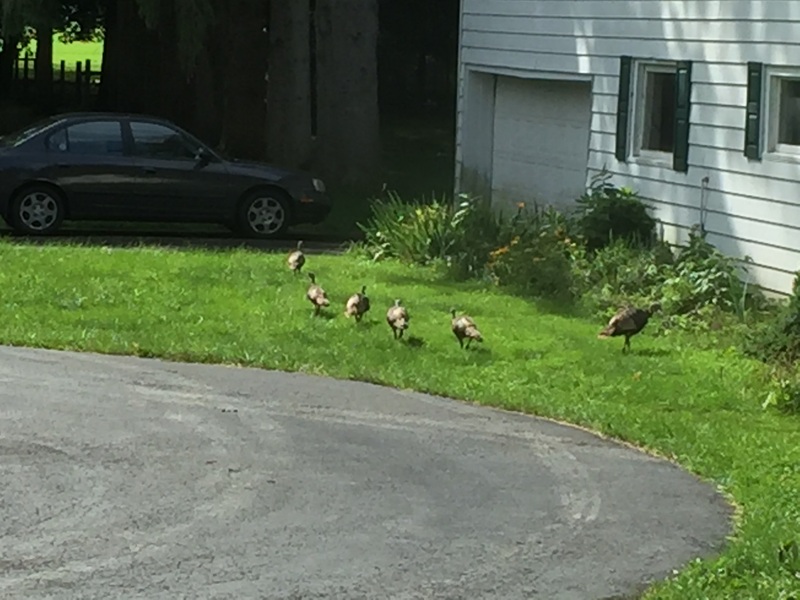 We have a local flock of wild turkeys that visits our yard every few days, especially during the spring and summer. This year, the primary visitors were a single hen with around 4 poults (baby turkeys). Occasionally, the flock would consist of several hens with even more young turkeys. They tend to avoid people and if anyone tries to approach too closely, they usually scatter into the trees. Wild turkeys in the front yard. 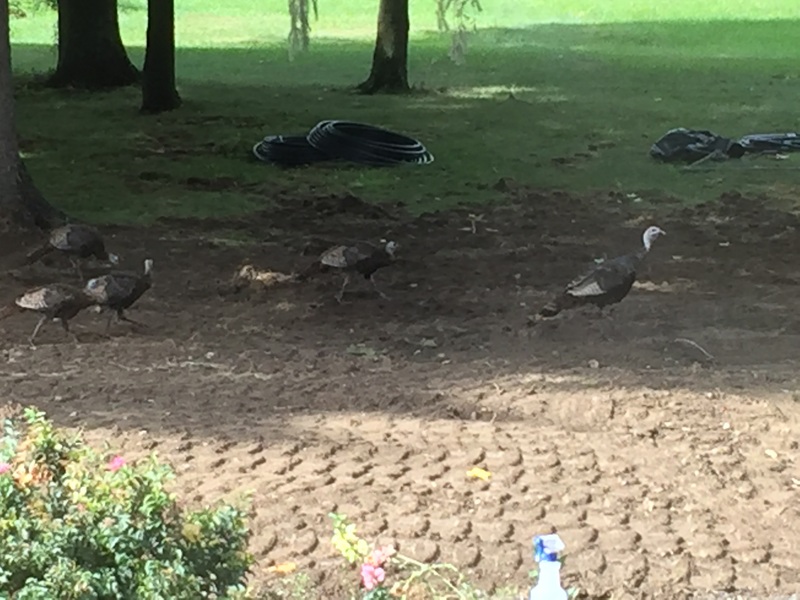 Wild turkeys in the backyard. 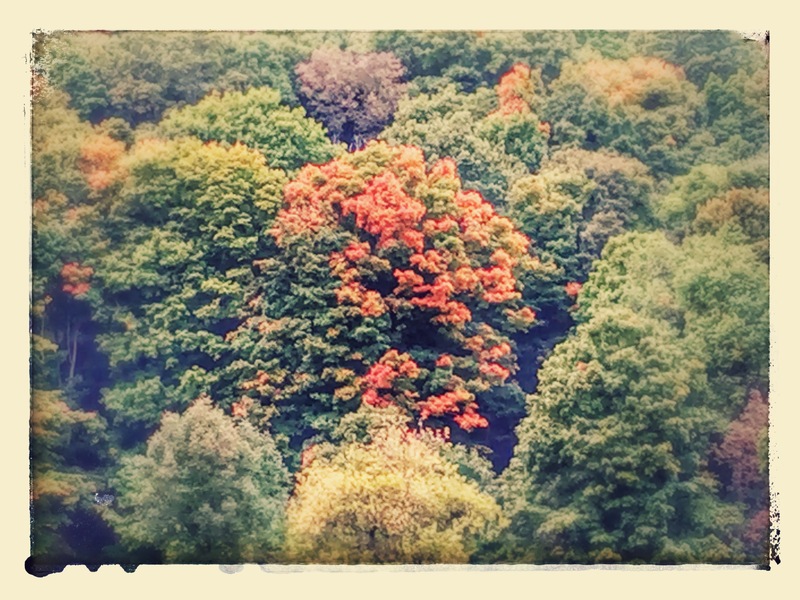 We have a lot of trees in our area, meaning a lot of beautiful colors in the fall. 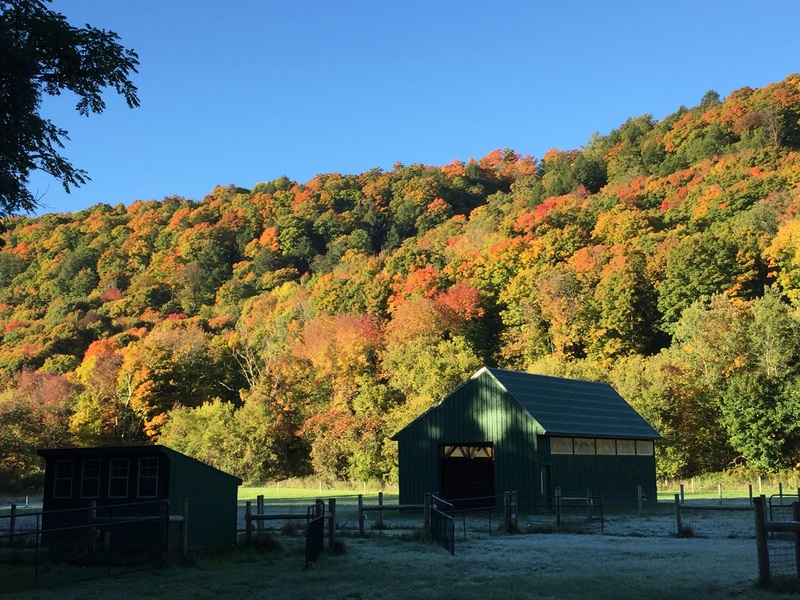 Here are some pictures of the trees on our property and the surrounding areas from a few weeks ago – close to the peak season for fall foliage in our area.